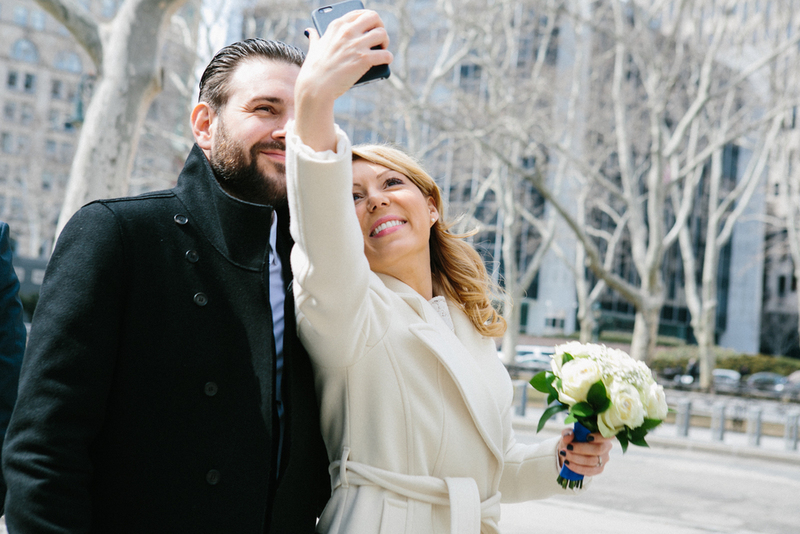 Andrea and Rob came all the way from the UK to get married at City Hall in Manhattan to avoid the large fuss that would have been getting married across the pond at home. They insisted on avoiding any overly pretty wedding photos, so after their City Hall ceremony, I took them to Chinatown. I don't do this often with eloping couples; the last time I did, I think, was in back in October of 2013 when brides Eliana and Elizabeth were brave enough to trust me and roll with the punches of shooting in this unique location. Chinatown is really crowded and noisy. There are tourists, but they tend to stay out of the areas I chose for these photos, so the people surrounding us were locals who had seen it all and were more concerned with us not being in their way. It was fine - hectic but fine - and the photos are so worth it. Andrea and Rob, thank you for the small adventure!